Like Halley’s Comet, a correction in in the Boston Herald is something to both marvel at and celebrate. So it is with the note that appears at the top of page 2 in today’s Herald. 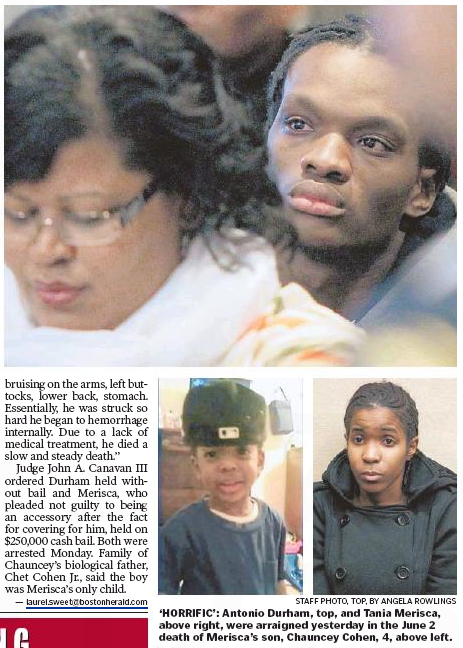 That would be this page 12 yesterday, which reported the murder of Brockton four-year-old Chauncey Cohen. 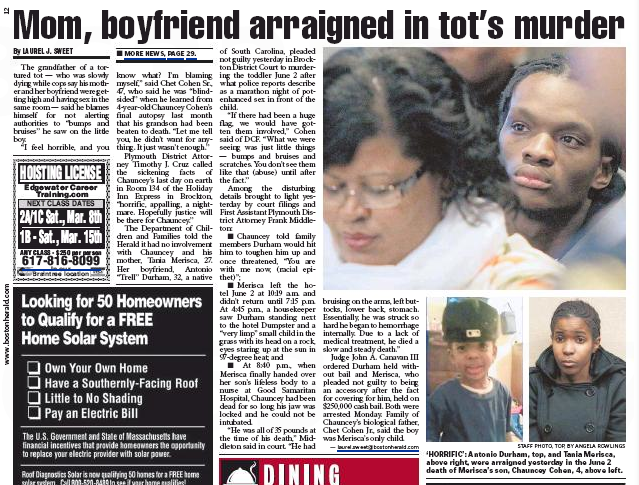 And specifically this caption, which calls the victim’s father by the alleged killer’s name. The hardreading staff has nothing but sympathy for the Heraldniks here, since this kind of error is the monster under every journalist’s bed. Good for the Herald for not burying its mistake, but correcting it with the prominence it deserves. This entry was posted on Thursday, March 6th, 2014 at 10:44 am and is filed under Uncategorized. You can follow any responses to this entry through the RSS 2.0 feed. You can leave a response, or trackback from your own site.